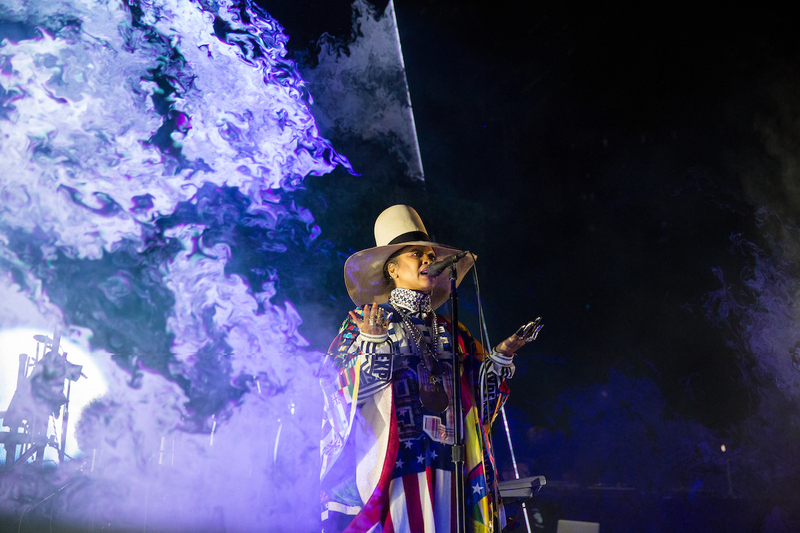 This last weekend marked the 13th edition of LA's revered FYF Music Festival, and the event's 4th year since moving Exposition Park. It seems that the organizers have finally found their groove as it might've be the event's most ambitious & successful run yet. The festival was scheduled a bit earlier in the summer to bring in a wider crowd to support this year's 3-day expansion, but even with the increase in talent & capacity, the organizers kept past festival blunders (long entry lines, lack of water, sound clashing, etc.) to a minimum. 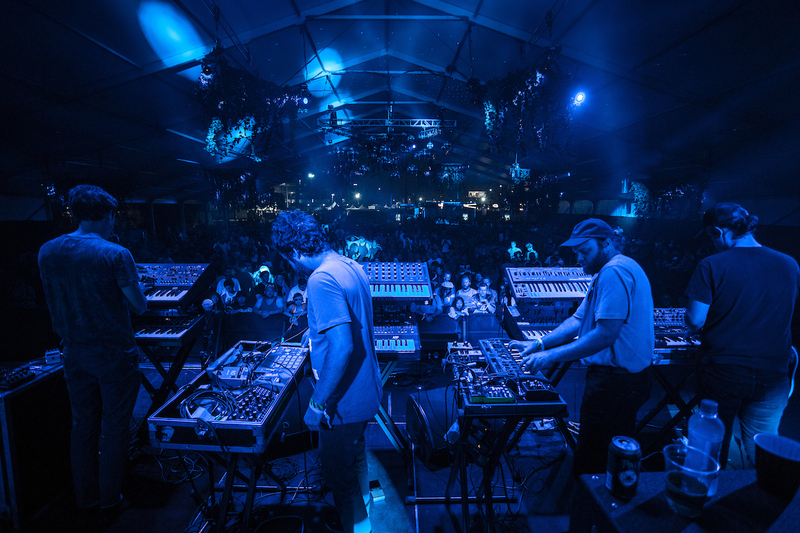 The attendees this year were as diverse as the Festival's masterfully curated line-up. 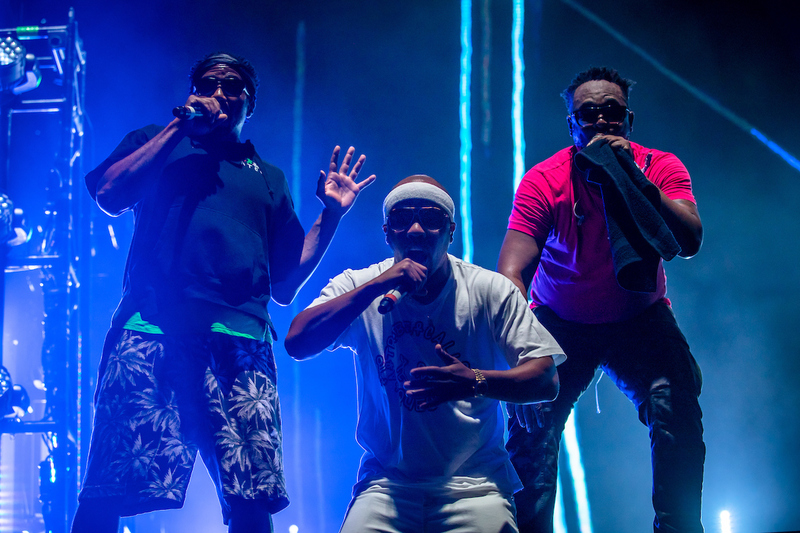 Spectators were treated to a wide assortment of the scene's best up-and-coming acts along with the triumphant returns of some of music's most cherished names (Frank Ocean, Missy Elliot, Nine Inch Nails all brought their A-game). 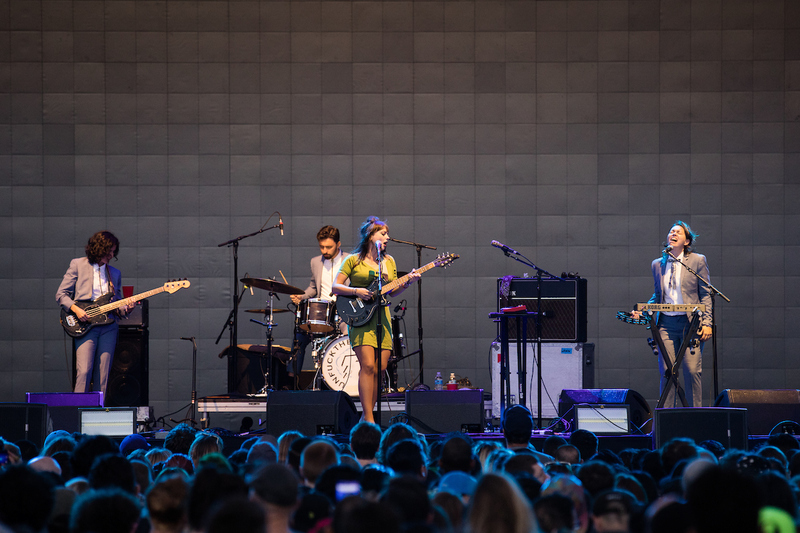 Although we barely made it into the festival for the second half of her set, Angel Olsen managed to set the tone for the whole rest of the event with her magnetic performance. She ran threw a medley of many of the reflective ballads on her last album My Woman with sheer confidence, her suited-up live band supporting her through each song without missing a note or step. Her emotive croon pierced threw the entire crowd like a siren's call, luring in any uninitiated festival-goer passing by. We had to make time to check out the artists responsible for the critically acclaimed soundtrack for Netflix's Stranger Things’. The Austin based keyboard four-piece all used their synths in a minimal tone, with each tune slowly building in momentum. Most of the crowd was in total spectating mode, and the light fixtures gave the performance an eerie aura that isolated the band from the outside world. When has an Anderson Paak. performance not been amazing? Anderson Paak. 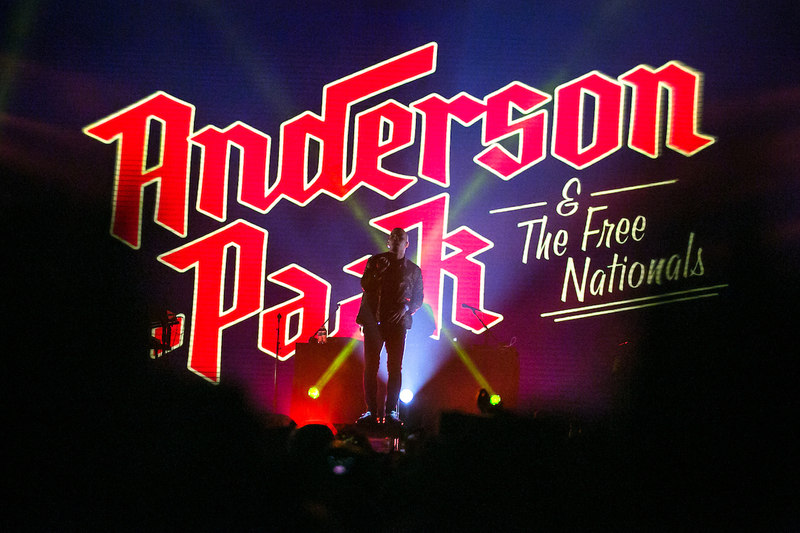 and his band The Free Nationals have been touring almost non-stop for the last 3-4 years and it absolutely shows within the group's natural synergy: Paak and his Nationals are truly masters of their trade. This has been my second time catching the group in 2017 (4 times total), and they've managed to have even out-done their previous live shows as they plowed through a seamless set of live-jazz/funk renditions of seminal tracks from Paak. 's Yes Lawd!, Malibu, and Venice LPs as well as a number of his many recent featured tracks. Miss Demeanor's first festival performance in over a decade was on Friday, July 26th, and the anticipation for her return was palpable. But sadly, we felt that she wasn't able to live up to the expectations due to some factors that were outside of her control. The sound could have definitely been more polished and it took her a while to get into a proper groove. 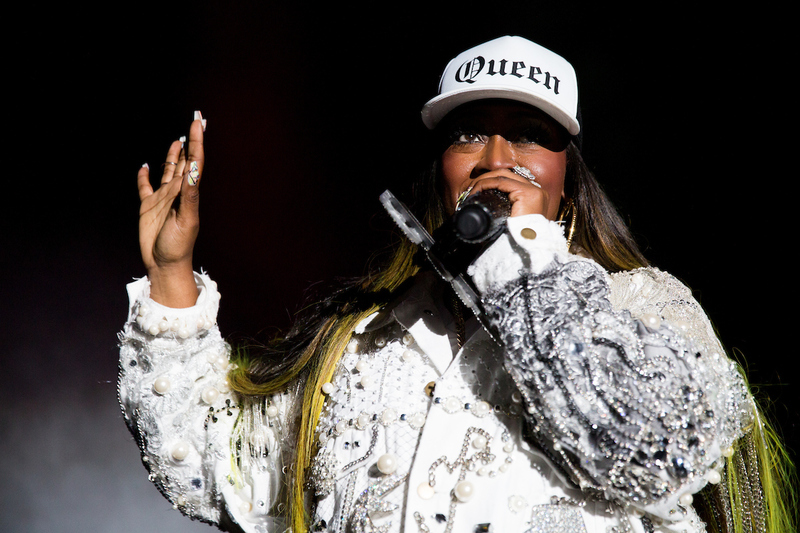 Although her set had the right amount of theatrics/dance numbers that you would expect a Missy set, there were also one too many skits in between that took away from the music. 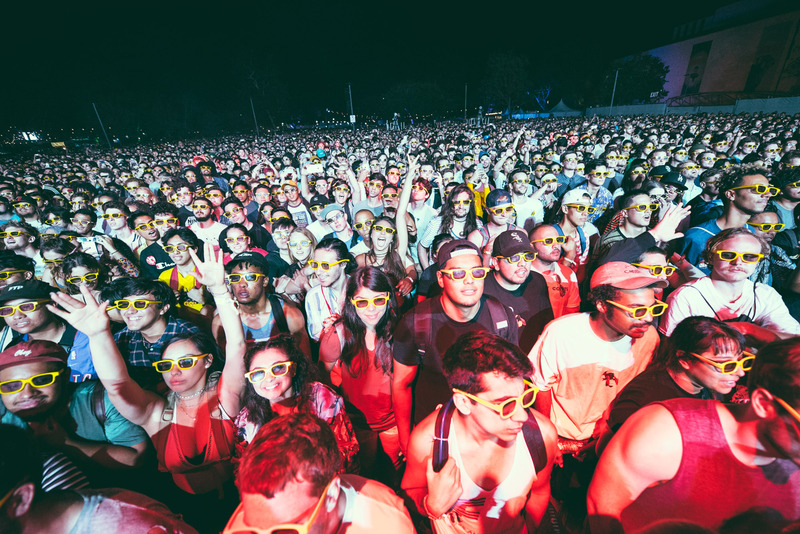 The branded 3-D glasses that were included with every FYF ticket package had the words Flying Lotus printed on the side, so the anticipation for his set was high from the onset. 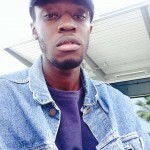 If you are from LA, it's more than likely that you've seen the experimental producer at least once or twice at either the Eagle Rock Music Festival or at his weekly Low End Theory event in Lincoln Heights, but nobody has ever seen FlyLo like this. 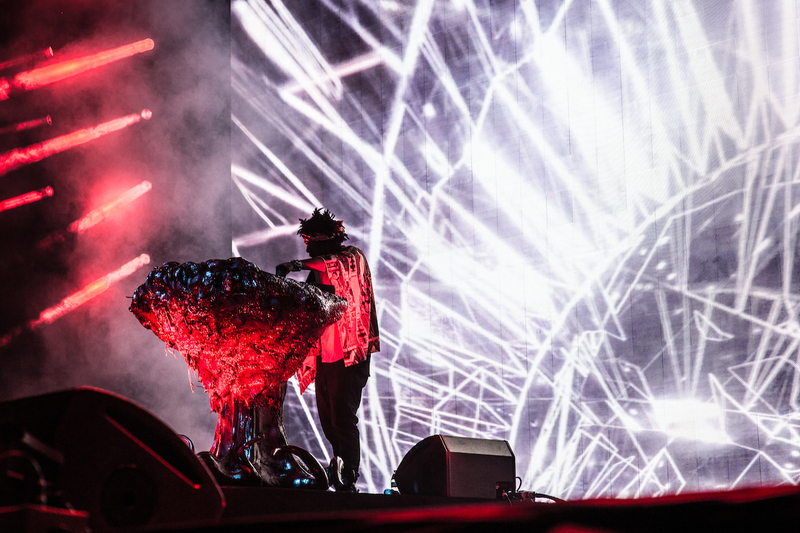 His frantic and hallucinatory 3D backdrop (courtesy of Strangeloop & Timeboy) constantly left us speechless as Lotus ran through a diverse set sprinkled with unreleased tracks and re-works. Flying Lotus even managed to teleport us to the "Black Lodge" as he dropped an inventive trap remix of the Twin Peaks theme song. Probably the most hype set of the festival. 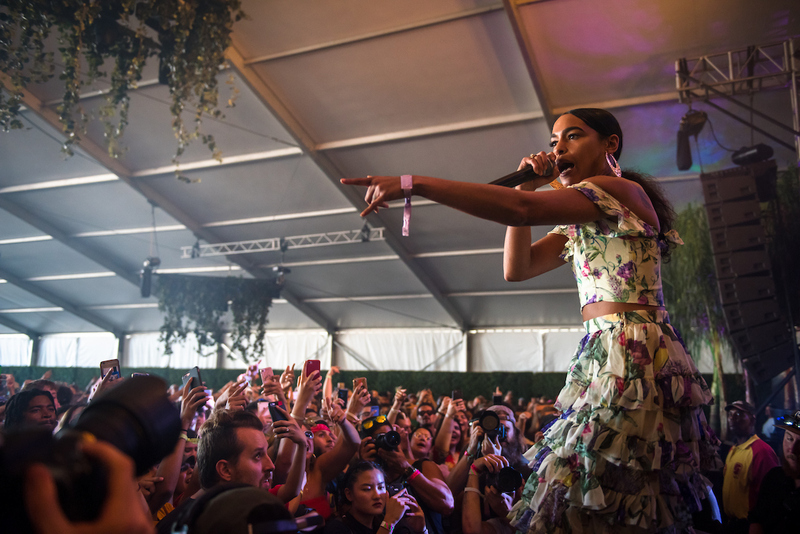 Even though Destiny Frasqueri has only been performing as Princess Nokia for 3 years, she has the stage presence and charisma of a hip-hop veteran. She had the entire crowd jumping and yelling for the entire hour & even did the unthinkable: Stage dived in a full on dress. We had to make to catch Noname, the Chicago political active lyricists with a Lo-Fi RnB tone. 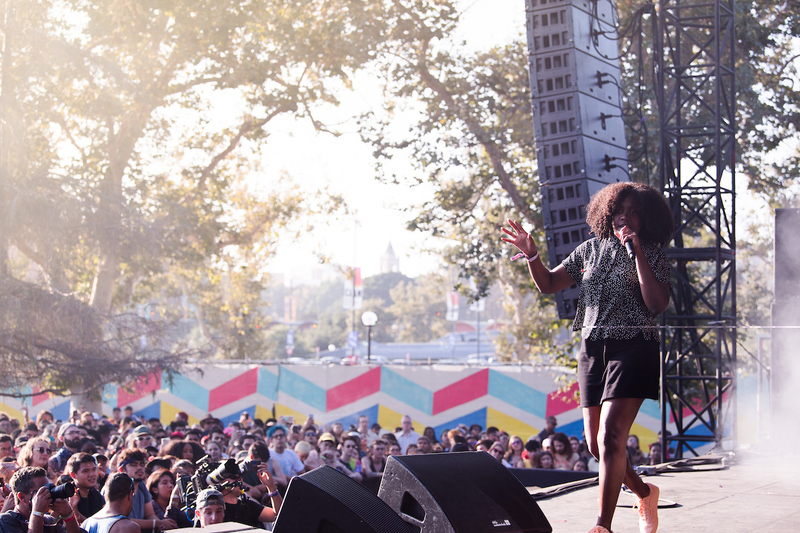 She had a perfect mid-afternoon time slot right before the sunset to compliment her peaceful energy as she lead the crowd through the confessional cuts off of her acclaimed Telefone mixtape. The queen of neo-soul of course started her set fashionably late (about 30 minutes past schedule) but the moment she stepped onto the stage in all of her majestic glory, she made it all worth it. She and her live band commanded the crowd with ease and they swiftly transitioned through Erykah's revered hits and cult favorites. Growing up, I was listening to The Midnight Maruaders & The Low End Theory quite religiously, so A Tribe Called Quest has always been a group high on my list of "Acts I need to see before I die". That is what also made it especially painful when I first found out about Phife Dawg passing last year, the idea of never being able to see my favorite rap crew of all time in action. Thankfully the group had decided to embark on one last world tour for their surprise final album We Got It From Here… Thank You 4 Your Service and blessed exposition park with an absolute bombastic set filled with all of the Tribe's most memorable cuts in full color. Q-Tip and company definitely made Phife proud with their massive stage and microphone presence. It's likely that half of the reason most people came to FYF this year was to catch Christopher Francis "Frank" Ocean in the flesh (for the first time since 2014). Frank left a lot of his fans heartbroken when he dropped out of his headlining slot in 2015 (not even Kanye could remedy the pain), but he eventually made it up for it when he released two groundbreaking albums a year later along with a world tour. The stage setup was bare bones with just a few seats on the side for live guitar via Alex G and a production crew (lead by Spike Jonze) who recorded Frank's every move. What was recorded was then broadcast live behind him in the form of VHS lo-fi footage. 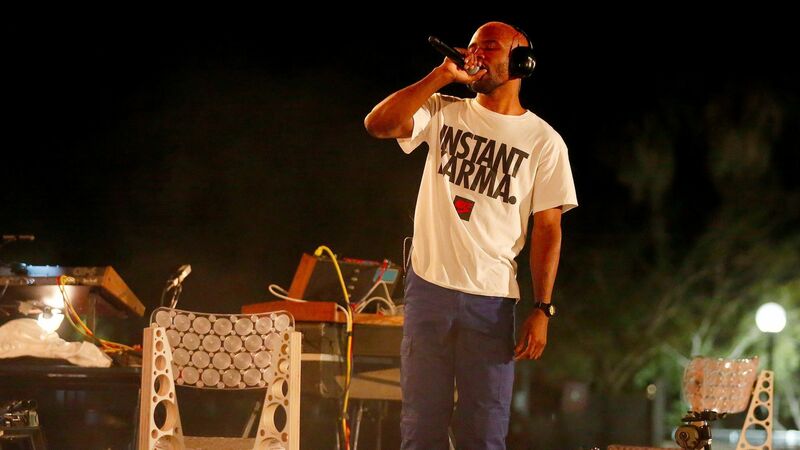 The whole setup was very minimal and forced the audience to put their full focus on Ocean as he ducked and weaved through a succession of cuts from Blonde, Endless, and exclusives off of his Blonded Beats 1 radio show. It made the massive thousand fan affair feel like a intimate open mic event, and Ocean has never looked as comfortable in front of that many people. He even brought out Brad Pitt for a cinematic performance of The Carpenters' track "Close to You". I was not super familiar with this band's music before catching this set, but I surely became a fan before they ended. 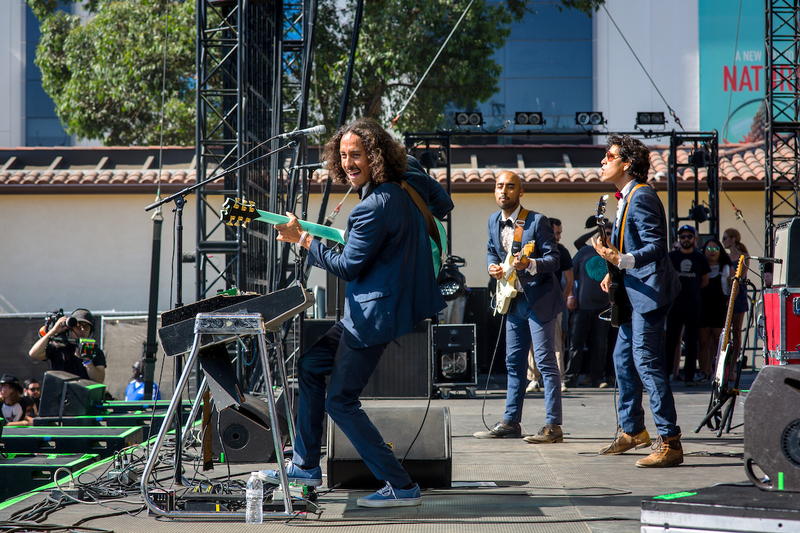 Their psychedelic soul compositions sounded highly refined and polished the whole way through. The formally dressed four piece played their hearts out and ended up having one of the most vibrant sets of the festival. 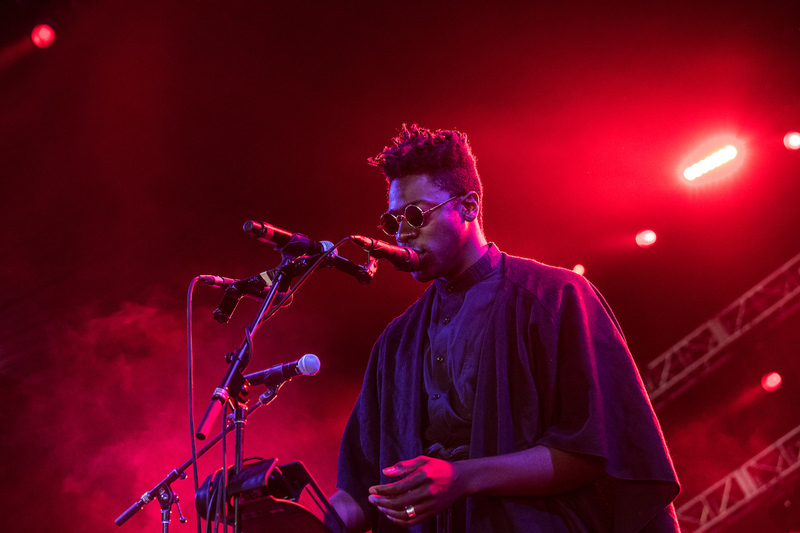 Moses Sumney is one of those performers that you tell your friends about after witnessing live. His way of layering melodies live via loop machines with recorded hand-drum patterns is one of a kind, especially when paired with his signature croon and vivid songwriting. He single-handedly recreates all of his songs on the fly, building up complex walls of sound & emotion and then on a whim breaking it all down to nothing but a longing whisper. Solange's third studio album A Seat At The Table was one of my favorite releases of 2016, so I was pretty excited to see her live interpretation. 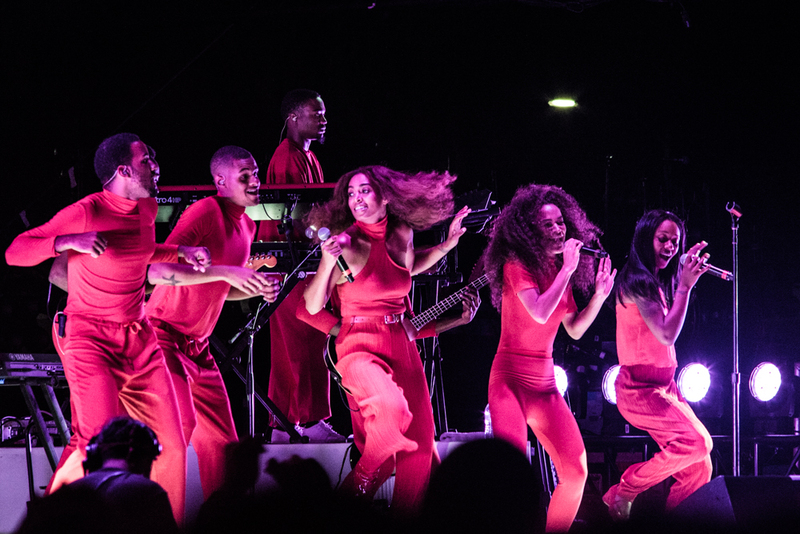 In the same vein of her acclaimed performance on The Tonight Show, Solange turned a standard festival set into a choreographed performative art piece, complete with bright red matching outfits and a slick live band. 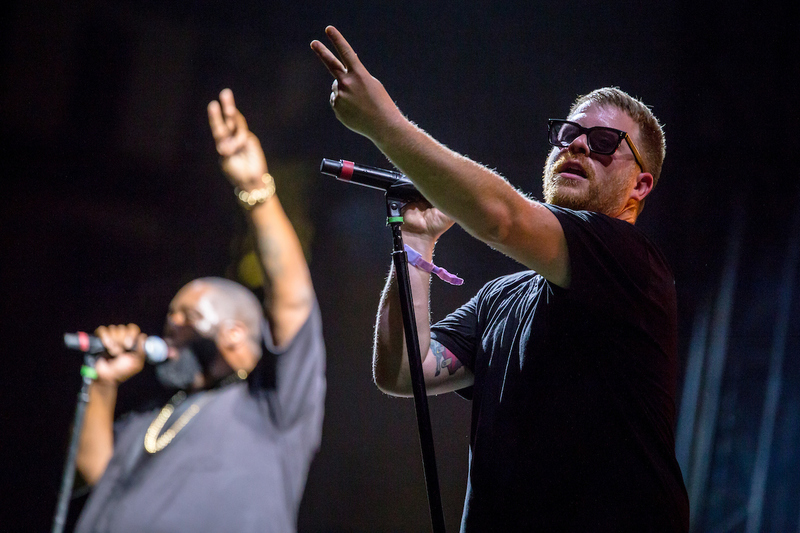 Run The Jewels have been a must-see staple in the festival circuit since their inception (this the group's 3rd time at the festival). The amount of energy that El-P and Killer Mike are able to channel through their protest anthems and braggadocios attitude is highly infectious and liable to turn any crowd into an rabid mob. 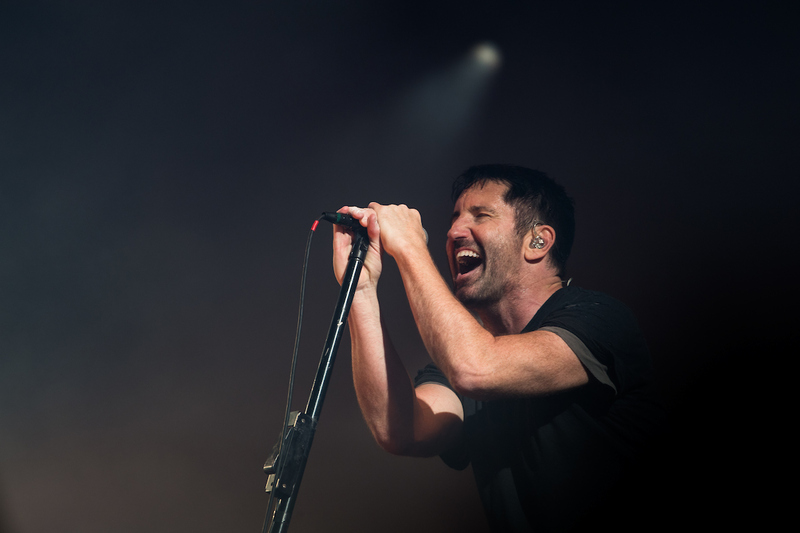 Trent Reznor's brainchild Nine Inch Nails had their first performance in three years to close out this year's FYF Festival, and I don't think anyone could've done a more explosive job. It was an intense journey through the band's 30 year long legacy, an hour and a half of unadulterated rage and anguish. You could hear the pain in Reznor's vocal when he covered "I Can't Give Everything Away" by his recently departed friend & collaborator David Bowie in a stunning ode to the British music innovator. It was a heavy end to an evening filled with poignant and astounding performances. Connect with FYF Fest: Twitter / Facebook / Instagram. TOBi turns pain into power with his latest video "City Blues"
Winston Surfshirt keeps the wavey tunes rolling with "For the Record"